From Taco Bell’s food laboratory, ostensibly staffed by both food scientists and stoners (perhaps one-and-the-same), a new creation has emerged. 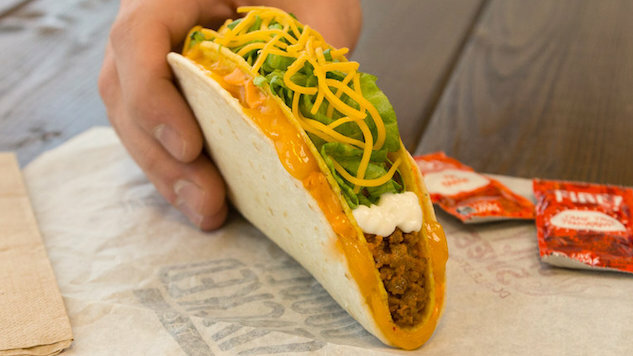 The $1 Double Stacked Taco features the typical toppings—beef or chicken, sour cream, lettuce, and cheese—with an additional outer soft taco shell. The space between the two shells is filled with cheese and sauces. Per Thrillist, the new item will be released in three flavors: Cool Habanero, Cheddar Crunch, and Sweet & Spicy. Beginning Thursday, Dec. 22, the new item will be available for a limited time only. 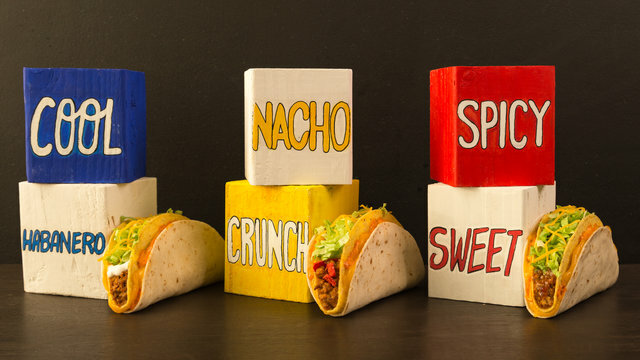 Check out a photo of the new taco types below.